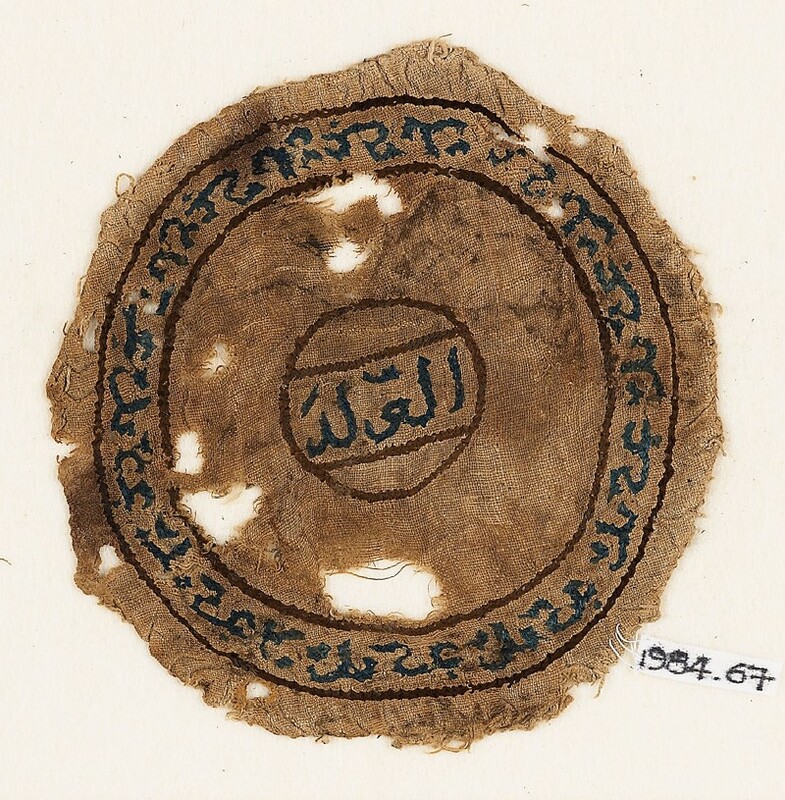 A roundel with a circular border band containing an inscription, and a central blazon divided by two horizontal lines, also with an inscription which reads 'al-'izz al-d(a'im)': 'glory, lasting'. The circular inscription reads '-'izz (?) d(a'im)'. The outer band and blazon are defined by brown embroidered outlines, the inscriptions are blue. The roundel was once sewn against a background fabric. There are remains of a rolled hem.